Maxwell School has rolling admissions which means we accept applications and make offers on an ongoing basis. Maxwell School fosters personalized learning in a small classroom environment. 1. 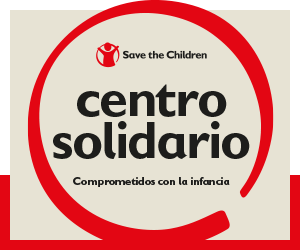 Initial enquiry: Parents will be asked to provide information by telephone or in person about the child´s birth date and the assumed starting date. 2. School visit: On receipt of this information, parents will be invited to visit the School, preferably with their child/children. · Completion and signature of the application form. · Provision of copies of school reports for each child covering the previous year of education (where relevant). 4. Assessment: Each applicant will be assessed in order to create an appropriate and individualized program of study. 5. Parents will be asked to attend a short formal meeting with the Head or Deputy Head of Primary once relevant assessments and (where necessary) trial days have been undertaken. Any specific conditions attached to the offer of a place will be discussed. 6. Offer of a place: Following receipt of the assessment results and school reports the school will decide whether a place is to be offered. The Head of Primary will inform parents of the outcome of the assessment and the interview and make clear any specific conditions attached to the offer of a place. Maxwell School tuition covers experienced teachers, a personalized learning plan for each and every child, and an opportunity for parents to work in partnership with educators to shape the student experience. We’d be happy to answer your questions about Maxwell. Provide your contact info and we’ll be in touch.